Kara attended the Young Agents Conference on June 14-15, 2018 at Campbell’s Resort in Chelan, WA, and had a wonderful time. 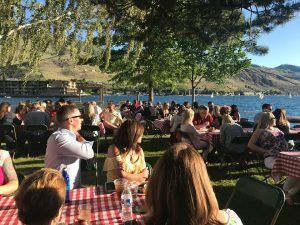 She participated in a tour of the Lake Chelan Winery and a scavenger hunt, as well as networking with over 100 other attendees and spending lots of time outdoors by the lake. Thank you to the I.I.A.B.W. Young Agents of Washington for hosting this great event!